iCow is a text-based subscription information service to improve the productivity and earning power of Kenya’s 1.6 million farmers. Farming is a huge sector in Kenya’s economy, but making a living from it is incredibly hard: it takes 15 litres of milk a day to get a family over the poverty line, but few smallholders here manage to eek out more than just 5 litres from their herd. iCow was set up to help farmers increase their incomes from the higher milk yields they can get by knowing more about their cows’ fertility cycle, and other elements of bovine health. Tips tell them when a cow is in heat, which feed will boost their milk output, how to breed, rear and then get a fair market price for livestock. Farmers register with the service using a standard mobile phone (smartphone use in the isolated rural highlands here is predictably low) through a toll-based number. They can then log each cow in their herd, to receive text messages and voice prompts that are bespoke to each animal — on everything from fertility cycle, nutrition, immunisation and milk production to the prevention and cure of milk related diseases. 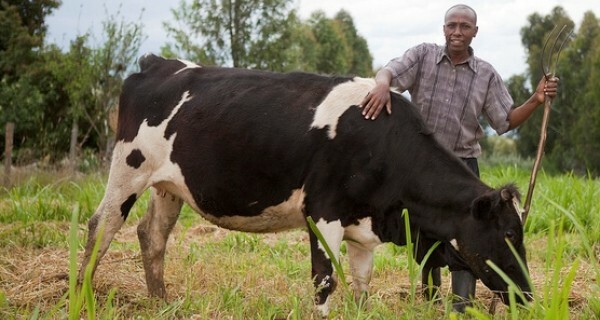 It also makes it easy to record and store milk production and sales, gives tips to help farmers self-diagnose arable and livestock farming problems to help them avert losses, and connects users with local vets. Whereas many young Kenyan farmers are on Facebook, and the revolution in digital products and services in Kenya has earned it the nickname ‘Silicon Savannah’, iCow serves the ‘last mile’ of older farmers who are offline, often in the rural highlands. It took first place in Apps4Africa, and was founded by Nairobi-based organic farmer Su Kahumbu. It played a particularly important role in sharing information in the wake of the maize crop failures of 2012. The site has 42,000 subscribers, and each message costs the farmer 5 shillings (4 cents).